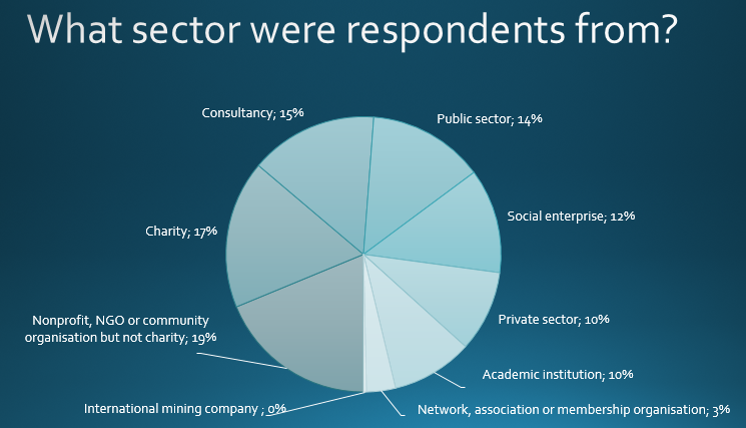 In September 2014, people involved with social impact analysis were sent a survey through the Social Impact Analysts Association and their country impact groups. 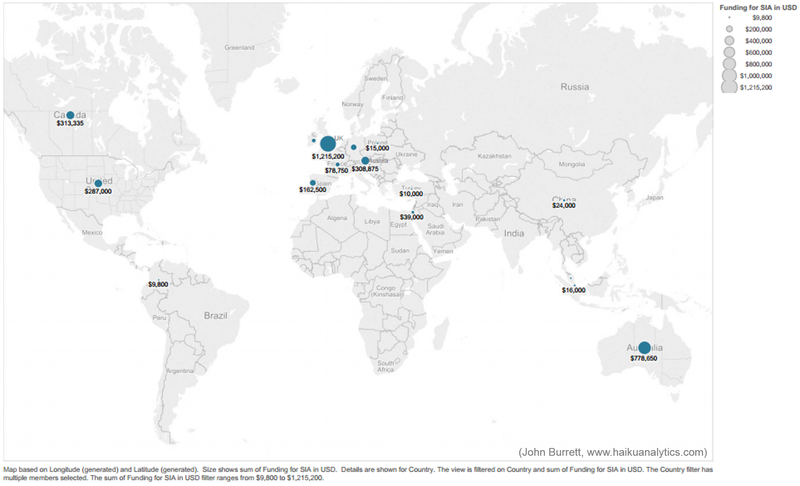 A map of where the respondents were from is above, and a pie chart of which sector they worked in is below. Sum of the amounts reported by organisations in that country, for their latest social impact analysis (US dollars). 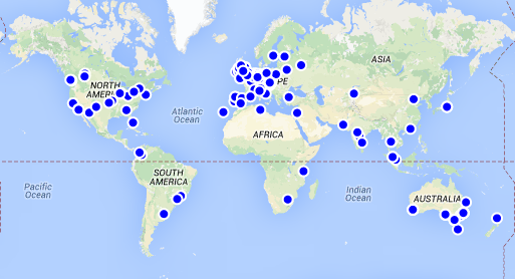 Click here to perform your own analysis of the data on Socrata’s open data platform. The best set to analyse is the one called SIAA International Survey 2014 – it’s a cleaned subset of the raw data. On the top right hand corner of your screen you’ll see a button that says ‘export’, which will give you options for a spreadsheet. Making a pivot table of the dataset is the easiest way to begin looking at it. The data is licensed under Creative Commons 3.0 Attribution so please feel free to reuse and publish. We’d love to see what you publish, so post a link at the bottom of this page to your work. Or use the report of selected responses to individual questions – this is probably the best overview of the responses. Please send us your analysis. We’d love to share it. whether there is a higher use of control groups than expected, or whether this might indicate some methodological misunderstanding (or a problem with the question).